Every 90 minutes and some change, the International Space Station (ISS) completes a circuit of the Earth. Two Seattle developers want you to remember the wonder of humanity’s continuous presence in space for nearly 15 years, and raise your wrist and wave digitally. 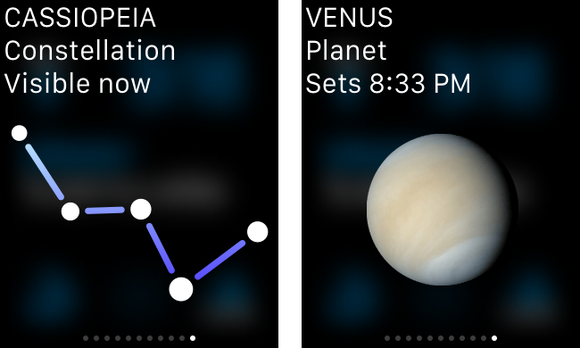 Chris Laurel and Nick Risinger of Fifth Star Labs are among the early adopters of WatchKit, and support all the possible interactions in their first Watch-ready release. 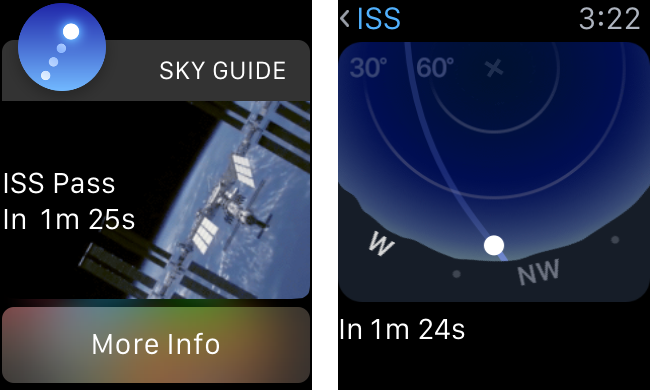 Sky Guide was one of the first apps Apple advertised as supporting Apple Watch, and the two started work on special features the day WatchKit was released. Nick Risinger and Chris Laurel look up at the stars inside a conference room. With the right notifications enabled in the iOS app on a device paired with a Watch, whenever the ISS is about to pass roughly above your current position, the Watch notifies you. That’s a nice idea, especially at night, as you might be able to look up and catch a glimpse of the ISS, as it’s in low-earth orbit at about 250 miles and can reflect enough light to spot. Catch it fast, as it zooms by at almost 17,500 miles per hour. Want to wave at astronauts? 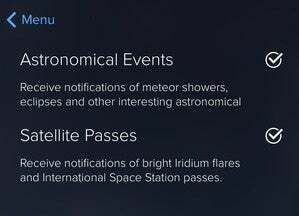 Sky Guide can tell you when the space station is about to zoom by. But the clever bit is that you can scroll through a list of currently serving astronauts’ Twitter accounts, and say hello with a prefabricated message from your current location. Given how active some of the astronauts are on social media, you might even hear back. You can tweet at the astronauts too. 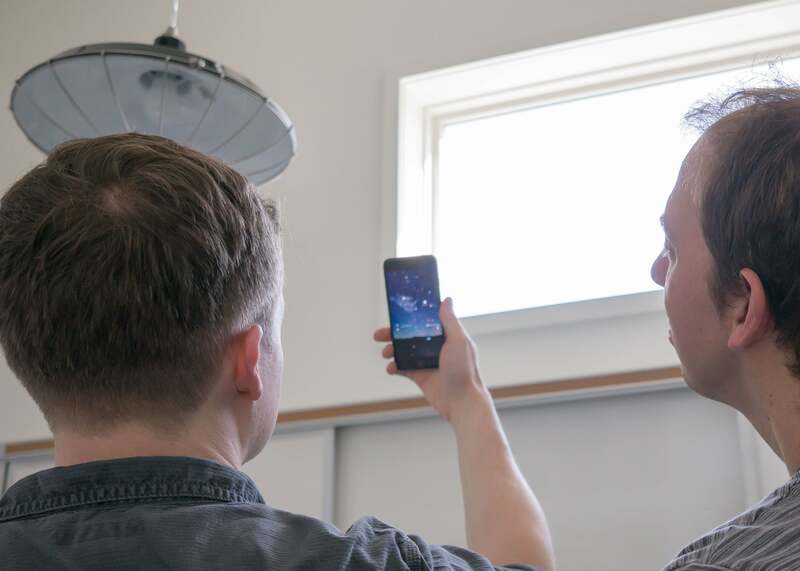 Laurel and Risinger travelled the globe gathering image data for Sky Guide, which uses augmented reality to let you hold up an iPhone or iPad and “see” an overlay of stars, constellations, and astronomical features derived from 37,000 photographs and a database of details. Holding your wrist up to the sky would clearly be both a limiting experience and tiring for the arm. But they’d already had experience distilling interesting tidbits into an iOS widget, and continued along that line. Constellations and planets? Both here, and tailored to your exact location. Risinger said they wanted to expand into a Watch app, notifications, and glances, and tried to chart the best path for each. For glances, they wanted to show “what’s good right now.” This includes moon phases, which are rendered precisely for a Watch owner’s current location. This avoids, among other things, a moon that’s the wrong way around in the Southern Hemisphere. Learn not just what's up there, but also what's happening right now. 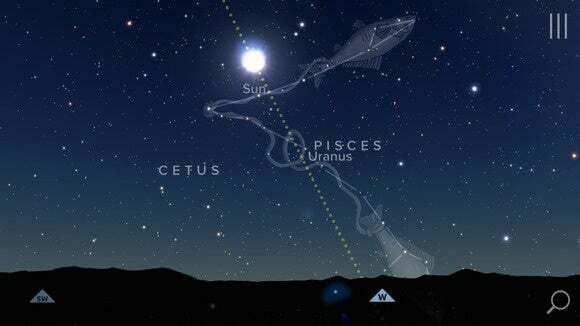 The glances also include things like planet rises and sets, and when particular astronomical groupings are available, like the Pleiades. With Handoff, the glance can tie directly into the iOS app, allowing it to open to the appropriate view. 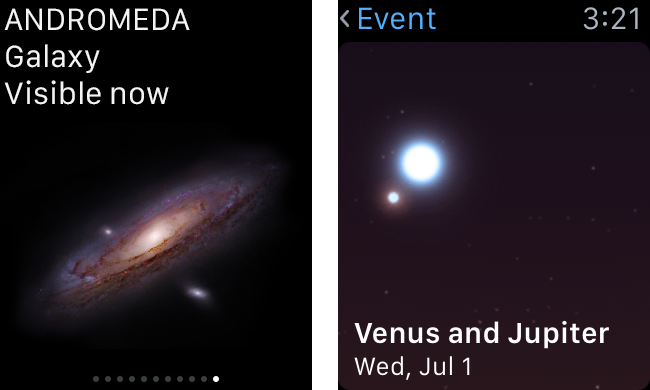 The Watch app also focuses on current sky events, showing a summary of what’s happening that day, and a calendar for looking into the future, like an upcoming solar eclipse or meteor shower. SkyGuide notifications work in the app and also on the Watch. 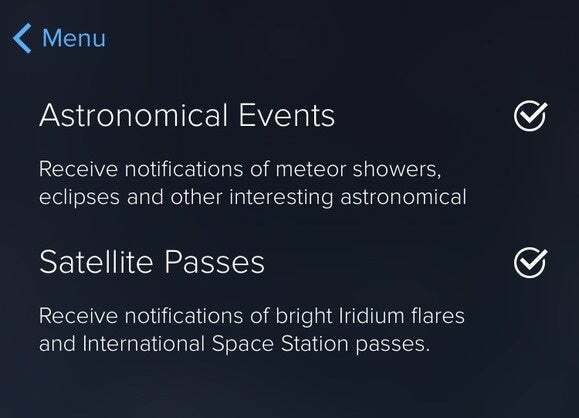 What they’re clearly most proud of, however, is connecting Watch users with the ISS. 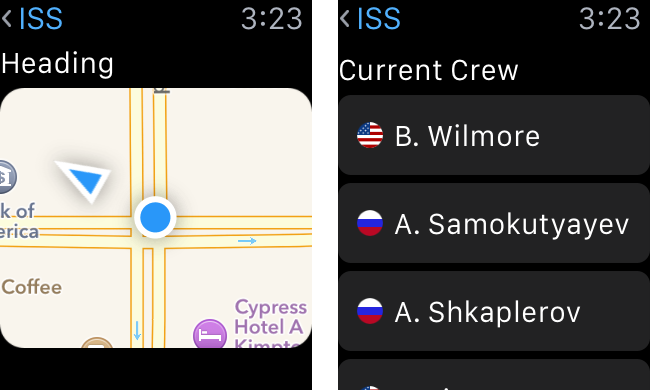 Risinger said, “A lot of people don’t know that there are people in space.” The ISS notification gives a Watch and iOS user advance warning, and the Watch app provides a rough picture of the sky, compass points, and a map fragment with a direction icon so you can orient yourself. The crew list shows a national flag next to each astronaut, and reveals details about them. Tap Send a Tweet, and the app lets you pick from “Welcome from [current location city],” “Greetings from Earth,” or voice-dictation or icons. For the astronomically minded, the Watch components of Sky Guide will help remind them to look up at the stars, not down at the Watch, as marvelous events unfold overhead.